Dallas is the ninth largest city in the USA, an important commercial centre and home to the third largest collection of Fortune 500 companies in the country. Dallas flights are in demand all year round, with business travellers from around the world regularly heading to this Texan metropolis. Flights to Dallas play an important part for international business as well as for leisure travellers seeking American culture and history. Today, the Dallas skyline is marked by a collection of skyscrapers symbolic of its status as one of the USA’s largest employment centres. The Bank of America Plaza, Renaissance Tower, JPMorgan Chase Tower and Comerica Bank Tower all dot the city skyline. The Reunion Tower – part of the Hyatt Regency Hotel – is another recognisable landmark that provides a bird’s eye view of Dallas from its observation deck. One of Dallas’ most visited attractions is the John F Kennedy memorial in the Dallas County Historical Plaza, built as a tribute to the late president of the United States who was assassinated in Dallas in 1963. The historical centre provides in-depth information on that fateful day with an audio tour of the museum dedicated to the events. Regardless of your political viewpoint, it’s also worth a visit to the George W. Bush Presidential Center, which takes a look at the president’s eight year term in office. To get a sense of what Dallas was like way before the 1960s, the Dallas Heritage Village at Old City Park is the place to be. The park features an extensive collection of 19th century and Victorian houses, and sits just south of downtown Dallas. Pioneer Plaza is another must-visit to get a feel for Dallas’ origins. This four acre park is home to man-made cliffs, a waterfall and provides information on the 19th century cattle drives that helped shape the Dallas of today. There are plenty of shopping options in Dallas for anyone looking to indulge in some retail therapy. The Northpark Center in the city outskirts lines it walkways with artworks from renowned artists like Andy Warhol, Frank Stella and Jonathan Borofsky and is home to world-famous brands like Neiman Marcus, Tiffany and Valentino. There are countless other shopping options around Dallas including: West Village, Grand Prairie Premium Outlets and Galleria Dallas – recognised as one of the USA’s leading luxury shopping malls. 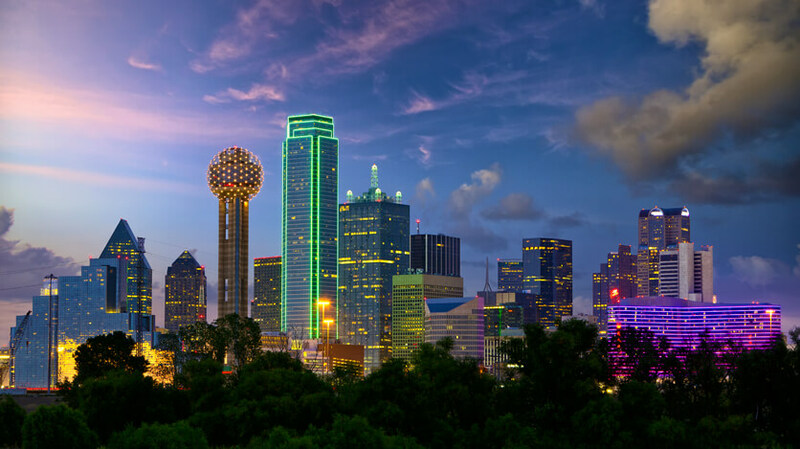 To book flights to Dallas from the UK speak to one of our helpful travel consultants. Globehunters is ATOL and IATA protected, giving you peace of mind and financial security.